Great, very helpful and informative, thank you Lark …. Can be a yearly visit? see how BTC unfolds over time. Merry Xmas and Happy New Year guys. Blockchain is a miracle. Super cool. Good challenge to just go out there and look around for places that accept crypto. $30 for 2 beers. lol. It is true even for the store merchants. Education is key for the staff as well. The question I have for you. As I am all for Crypto myself. 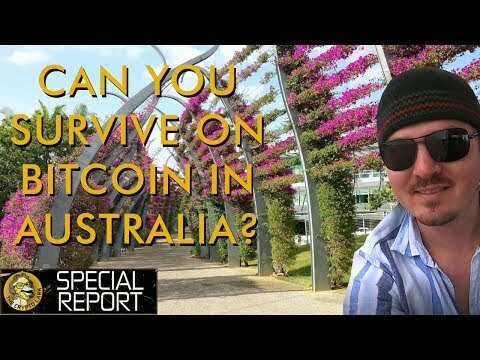 In your travel adventure there in OZ, for all the times you spend in BTC/ was the cost equal/more expensive/ or cheaper vs paying in FIAT(credit card) each time? just curious? You’re vegan lol. Why am I not surprised. I had vegan friend I called him a carberterian.